A Guide for Renters: What Does Renter's Insurance Cover? Are you trying to decide whether to rent an apartment or buy a home? If you're thinking about renting, you're in good company. The number of renters is the highest it's been in more than 50 years. Common reasons for downsizing are the cost of property taxes and the cost of home repairs. But what most renters don't know about renter's insurance could cost them thousands of dollars. What does renter's insurance cover? Can it cover your electronics and jewelry? How much renter's insurance do you really need? 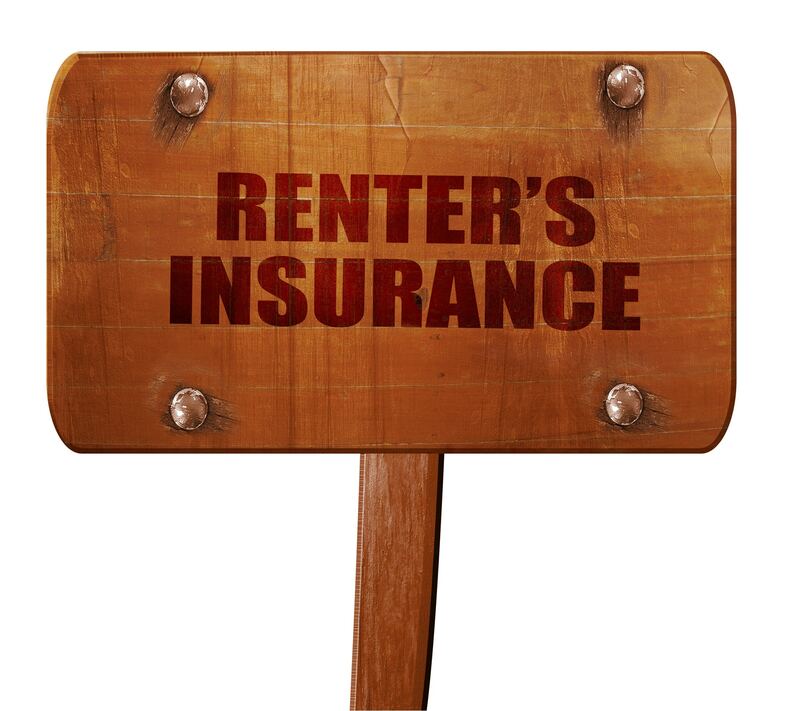 Surprisingly, less than half of all renters have a renter's insurance policy. In this article, we'll give you the inside scoop about renter's insurance and help you get started with a local insurance company. Renter's insurance is all about getting the coverage you need with an affordable monthly premium. It doesn't have to be expensive: many policies start at $5 per month. To get a renter's insurance policy, you'll need to know how much coverage you'll need. You'll be buying a policy that has a monthly payment and a deductible. The deductible is how much you would have to pay before your insurance kicks in. Before you commit to an insurance policy, take the time and do some online research. You should also take an inventory of all your possessions. How much are they worth? You might think that you don't have much to insure, but you probably have a television, a tablet, a laptop, and a phone. That could be a few thousand dollars right there. It's always best to get more coverage than you need. If your personal property totals $28,000, go ahead and get a $30,000 policy. If an event occurs that's covered by your renter's insurance policy, you'll be reimbursed for the cost of your property. We'll tackle exactly what's covered in the next section. Renter's insurance can cover a variety of situations. If you live in an area of the country with extreme weather, you can find a policy that covers wind and hail damage. A renter's insurance policy can also cover damage from smoke, water, and fire. You can get coverage for theft, lightning, and vandalism. Surprisingly, renter's insurance will cover you if your laptop gets stolen outside of your home. If you're on vacation and someone steals your computer, you will be covered by your insurance policy. You can also opt-in to personal liability coverage, which will cover your dental and doctor bills in an emergency. You'll be covered for x-rays and for the time you lose from work. Liability coverage also protects you if someone injures themselves at your home. Slip and fall accidents can cost thousands of dollars to settle out of court, so having a policy is a good idea. Finally, a good renter's insurance policy will cover your hotel or other housing bill while your apartment is being repaired. Landlords aren't required to find you temporary housing or to pay for it, so it's important to have renter's insurance coverage that will cover housing and food. What Does Renter's Insurance Not Cover? In general, renter's insurance doesn't cover your property if you lose it. It also doesn't cover severe weather like earthquakes and floods. In some states, you can pay extra for this coverage, but in others you can't get it at all. If you have an invasion of cockroaches or bedbugs, your insurance policy won't cover it. It also won't cover you if your heat and water don't work: the landlord will have to fix that problem. Sometimes, high-ticket items like jewelry aren't covered. You may be able to add on to your rental insurance coverage, so just ask your insurance company. It's a good idea to carry renter's insurance, and it could lower your rent. Talk to your landlord and let them know that you have a policy. They may surprise you with a monthly discount. If you have a lot of electronics, you should probably invest in an insurance policy. Theft can be a devastating experience and there's no reason that you should have to buy all of your electronics a second time. Do you live in an area with severe weather? Is there a chance of a tree limb falling on your home or apartment? Instead of losing everything, take a video of all your personal possessions and find a good renter's insurance policy. Another reason to buy renter's insurance is that you can often bundle it with your auto insurance. When you meet with your insurance agent, make sure you have a list of your personal property and the information about your car. If you're asking yourself, "Do I need renter's insurance? ", give it a try for a few months. You can start and stop at any time without having to commit to a long-term contract. If you're planning to rent instead of buy, you're probably trying to save money. Finding an affordable insurance plan is key. Take the time to compare prices and find an insurance company that you feel comfortable with. To get started with a renter's insurance company, ask friends and family for their referrals. They may have had a good experience with a particular company. Don't be afraid to ask questions. What does renter's insurance cover? What will my deductible and monthly payments be? You might be surprised to find out everything it does cover. Renter's insurance can cover anything from temporary relocation costs to dog bites. It can also cover your storage locker and things that are stolen from your car. We have a wide range of insurance products for our customers. We're committed to helping you find all of the policies you need. We can customize an umbrella plan that works for you, helping you get the lowest insurance prices. You can contact us via email or 24/7 by phone. We know that life can throw you unexpected scenarios, so we're always open for emergency insurance claims. We're looking forward to working with you!